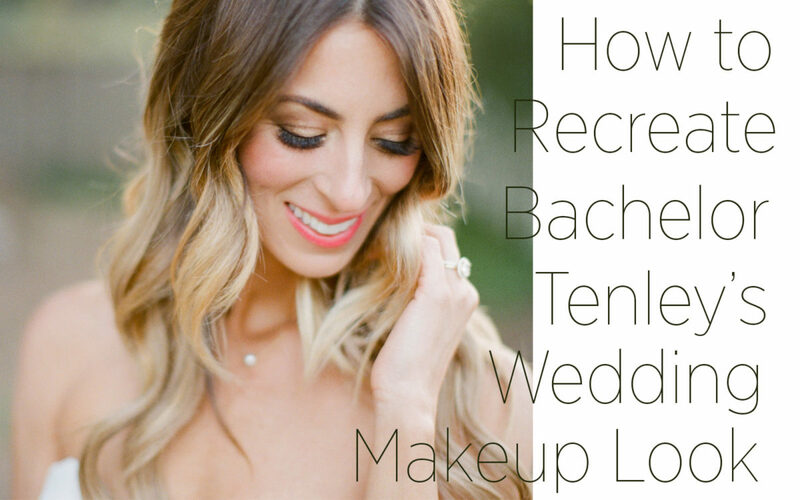 I had the upmost pleasure of working with Bachelor Alum, Tenley Molzahn a few times for different events as we got her ready for her April Wedding. We did her Wedding Trial, her Engagement Session and then her Wedding & Entire Bridal Party. It was a stunning affair, featured on Martha Stewart Weddings! Funny Story … We actually came up with a different look at there Wedding Trial, but after doing her “bronzed goddess” look at her Engagement Session, her beau Taylor loved the way she looked so much that we changed it on the spot! We did an amplified version of her Engagement look for their special Day! Want to re-create her look?! Here are the key products. -Tenley had lash extensions and so we just added in individual lashes to fill them in a little more at the base. -I used my all-time wedding favorite color BLISS on the inner lid and blended out to CITRINE by Cozzette. -I always use MGOFS powder on all of my clients which gives them a flawless finish without feeling like a lot of makeup. -My go-to blush is Senna Cosmetics Slipcover® Cream to Powder Palette in the 1 Neutral Palette. -Her glow was brought to you by Danessa Myricks’ Enlight Illuminator in color Serenity. -Tenley was not afraid of color, so I created a vibrant pink / coral color using Danessa Myricks ‘Feminist’ Lip Palette.